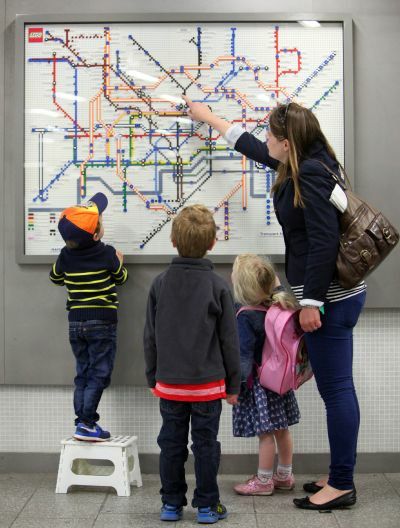 London Underground is celebrating its 150th anniversary this year and LEGO has marked the occasion by recreating five Tube Maps made entirely out of LEGO bricks that will be displayed in major London Underground stations throughout the summer months. Each map is made up of over 1,000 LEGO bricks and took four days to build. The LEGO Tube maps can be seen ‘landside’ (they call it “The unpaid side” which is not a true description) at these Underground stations. At Stratford you would have needed to pay.